Are free credit reports really free? If you see an offer that advertises free credit reports, have you ever wondered what exactly you get for free, and what do you have to pay for? If you're confused, you're not alone. Under federal law, you are entitled to a free copy of your credit report from each of the credit reporting bureaus once a year. 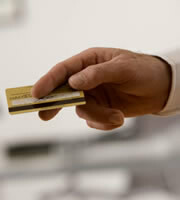 To do, so you simply visit AnnualCreditReport.com, a centralized website for requesting your credit reports. You can request your credit report online, by phone or through the mail. It's easy, and you never have to pay anyone to do it for you. What you won't get for free, though, is your credit score. To learn your credit score, you have to pay a fee. FICO, the company that produces the widely used FICO credit score, charges $19.95 for online access to your credit score, for instance. To help reduce some of the confusion about what information is free, the Federal Trade Commission has established guidelines. Offers for free credit reports packaged with services that you have to buy, such as credit monitoring, must include disclosures explaining that consumers can get free credit reports through AnnualCreditReport.com without buying anything. The FTC also requires the three U.S. credit reporting bureaus--TransUnion, Equifax and Experian--to delay advertising for products and services on AnnualCreditReport.com until after consumers get their free credit reports. Whether you need to know your credit score depends on your circumstances. It might be a good idea if you're going loan shopping so you know where you stand with lenders. But everyone should check their credit reports each year to make sure there are no errors and that no fraudulent accounts have been opened. Even if none of your credit cards has been stolen, you can still be a victim of fraud if someone steals your identity to open new credit card accounts in your name. Clerical and other innocent mistakes can happen on credit reports, too. Information about someone else with a similar name might have been included in your report, or credit card payments could have inadvertently been applied to the wrong account. Fixing errors is relatively easy. Just follow the instructions on AnnualCreditReport.com or go to any of the three credit reporting bureau websites. If you find evidence of fraud, call the financial institutions involved and credit reporting bureaus immediately and request that a fraud alert be placed on your reports. 0 Responses to "Are free credit reports really free?"